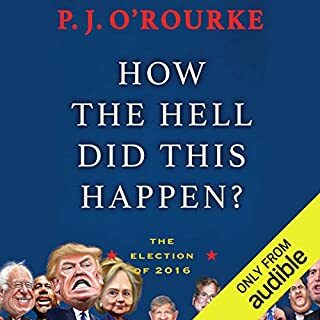 This election cycle was so absurd that celebrated political satirist, journalist, and die-hard Republican P. J. O'Rourke endorsed Democratic candidate Hillary Clinton. As P.J. put it, "America is experiencing the most severe outbreak of mass psychosis since the Salem witch trials of 1692. So why not put Hillary on the dunking stool?" P.J. O’Rourke began writing funny things in 1960s underground newspapers, became editor-in-chief of National Lampoon, then spent 20 years reporting for Rolling Stone and The Atlantic Monthly as the world’s only trouble spot humorist, going to wars, riots, rebellions, and other "Holidays in Hell” in more than 40 countries. As one of the first titles in Atlantic Monthly Press' "Books That Changed the World" series, America's most provocative satirist, P.J. 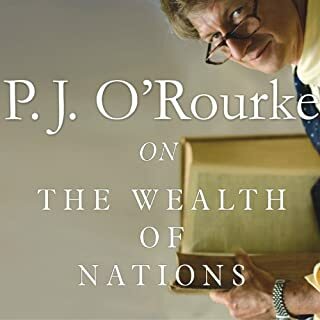 O'Rourke, reads from Adam Smith's revolutionary The Wealth of Nations - so you don't have to. Recognized almost instantly on its publication in 1776 as the fundamental work of economics, The Wealth of Nations was also recognized as really long: the original edition totaled over 900 pages in two volumes. 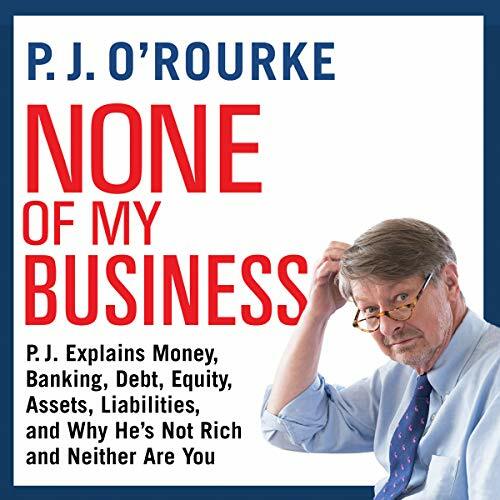 After decades covering war and disaster, best-selling author and acclaimed satirist P. J. O'Rourke takes on his scariest subjects yet: business, investment, finance, and the political chicanery behind them. Want to get rich overnight for free in three easy steps with no risk? 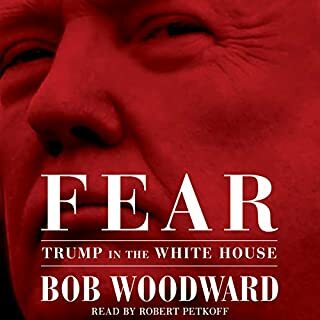 Then don't buy this audiobook. P. J. 's approach to business, investment, and finance is different. He takes the risks for you in his chapter "How I Learned Economics by Watching People Try to Kill Each Other". He proposes "A Way to Raise Taxes That We'll All Love" - a 200 percent tax on celebrities. He offers a brief history of economic transitions before exploring the world of high-tech innovation with a chapter on "Unnovations", which asks, "The Internet - whose idea was it to put all the idiots on earth in touch with each other?" He misunderstands Bitcoin, which seems "[L]ike a weird scam invented by strange geeks with weaponized slide rules in the high school Evil Math Club". He closes with a fanciful short story about the morning P. J. wakes up and finds that all the world's goods and services are free! 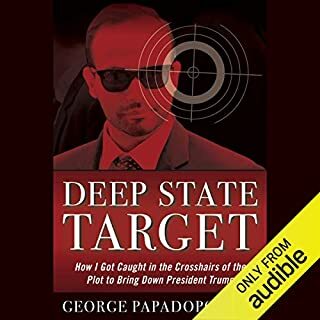 This is P. J. at his finest, an audiobook not to be missed. I've been a fan of P.J. O'Rourke since his days at National Lampoon. Although my politics are a bit left of center, O'Rourke is so funny and such a great down-to-earth storyteller that I truly enjoy hearing a slightly different point of view. In addition, he is proof that great humor is the ultimate way to communicate. Fantastic, funny, and thought provoking from start to finish. While I love that the author's point of view is grounded in vast international experience, I couldn't help but feel like it glossed over the most important elements of the digital age. I agree that government is always evil, a necessary evil due to the failing of markets. This author does not take much interest in diving into the effects of the machine learning era. He simply chalks up the shifting employment landscape to globalization and the softmindedness (education?) of millenials. Couldn't it be that automation creates a market failure where people can't just 'get a job' anymore? 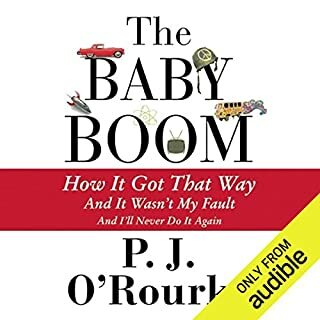 Listening to this book was like listening to a six hour Andy Rooney segment. Mildly amusing a few times. Definitely regret listening to it. 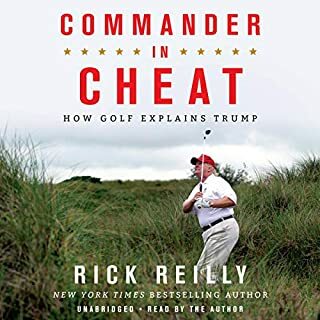 I get that it’s meant to be a humorous look at the world of business and a little look at politics , but it just wasn’t funny. A lot of his ideas on stock markets are flawed, and his constant rantings about technology become boring after a while. I get that he’s old fashioned and his views sound like that of a grumpy old man but I just didn’t find any of it funny.